We already mentioned the Xiaomi Mi 3 and Mi 4 use the same software builds, so their multimedia features are on par, too. Both come with a custom Gallery app. It defaults to your camera roll with two shortcuts at the bottom that will take you to album view of your local images and album view of your cloud pictures. You can't change this view, nor can you customize the default folders. Both phones have an FM receiver and supports radio recording. There is a sleep timer as well. Xiaomi's video player has very basic interface but rich video decoder support. Regardless of the device used, it managed to play everything we threw at it save for WMV files. The AC3 audio codec is supported too. Interestingly, the player won't list MKV files, but it can still play them hassle-free, if you access them from the file manager. The loudspeakers of both Xiaomi Mi 3 and Mi 4 are quiet, though the Mi 4's performance is even worse than the Mi 3. 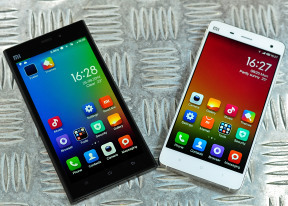 Both score Below Average marks on our test, though clearly the Xiaomi Mi 3 is louder than Mi 4. Winner: Tie. 2 dB difference is really not enough for you to notice in real life usage. Neither of the Xiaomi flagships did particularly well in our audio quality test. They both started struggling right from the first part where we tested them with an active external amplifier, showing below par volume levels and a few less than stellar scores. 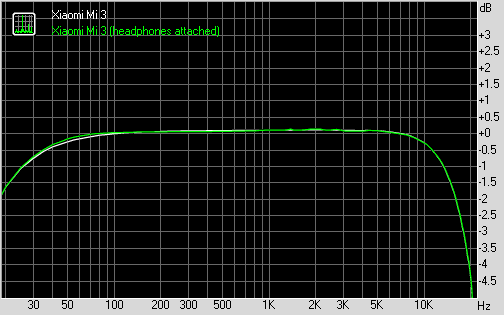 Plugging in a pair of headphones lead to further degradation in the Mi 3 and Mi 4 and we ended up with less than great results. Still the Xiaomi Mi 4 managed to just edge this one with slightly better scores and a little higher volume. It's hardly a victory worth celebrating too long, though.